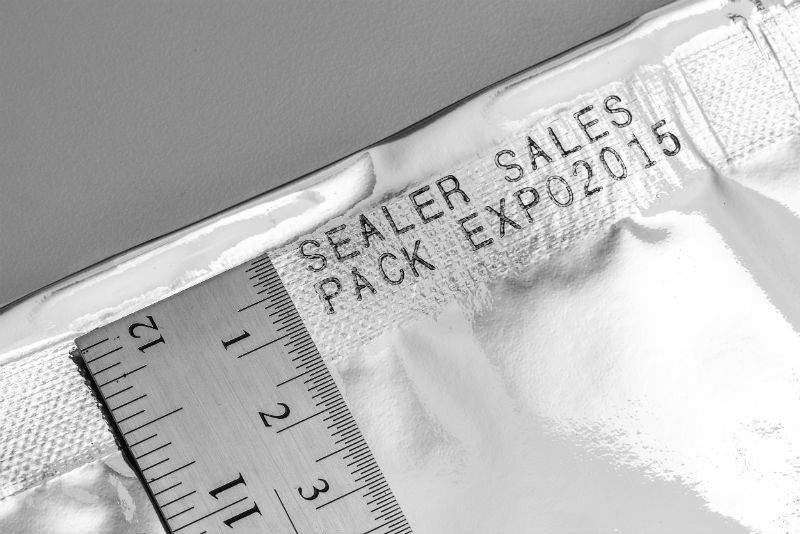 FRM-1120C Horizontal Band Sealer — Sealer Sales, Inc.
FRM-1120C is designed to quickly and efficiently seal any thermoplastic material including PE, PPE, stand up pouches, gusseted bags, and moisture barrier bags. 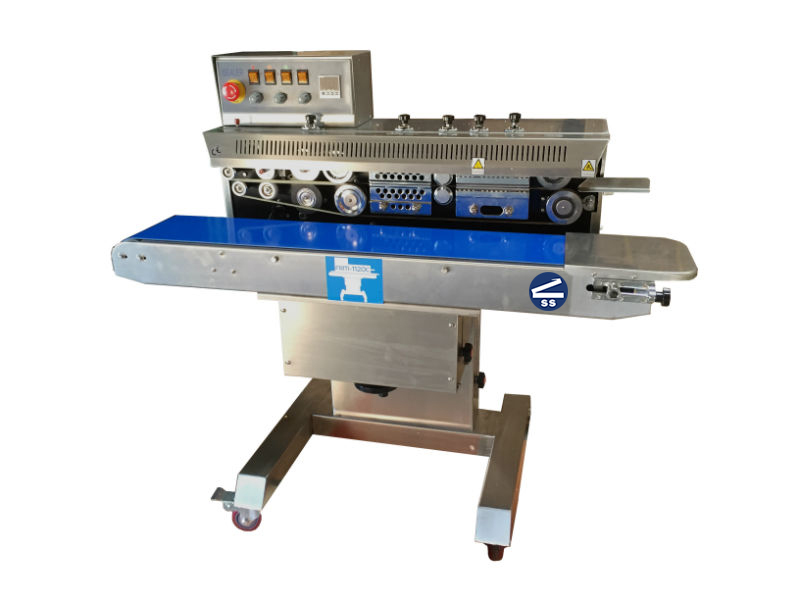 This sealer can also be used in a wide array of fields such as: food, medical, and cosmetics industries. 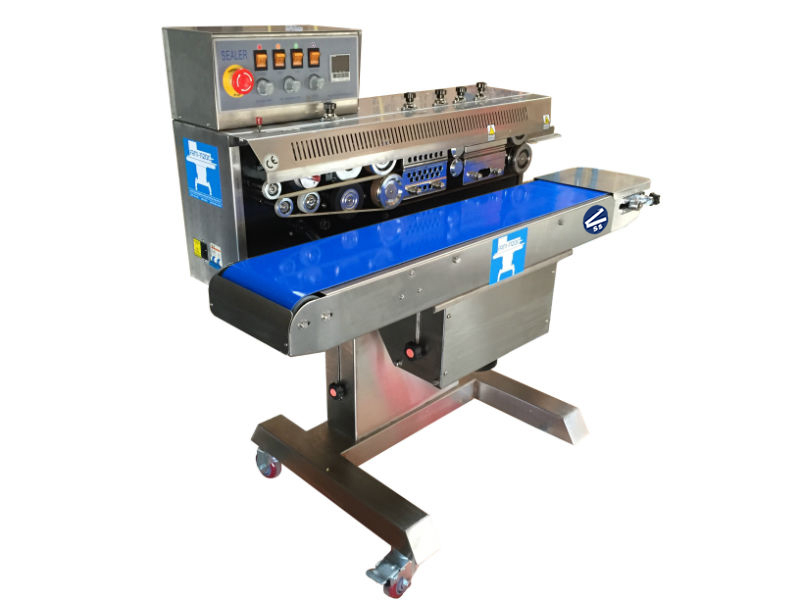 Equipped with a seal head that can tilt 30 degrees, the FRM-11120C is capable of sealing bags with liquids. 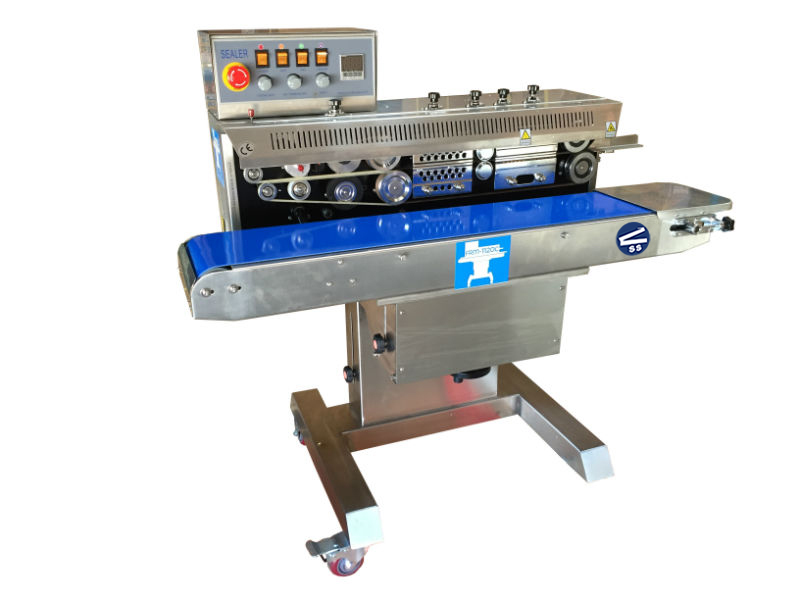 Unit feeds from right to left. 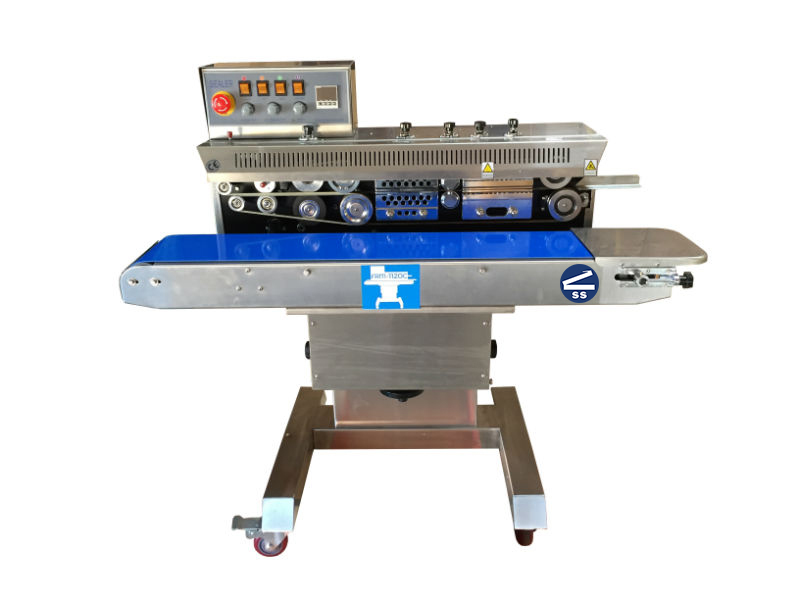 Conveyor Size 42" x 8"
Dimensions 43" x 24" x 41"